First published by No Comprendo Press a.s. in Oslo, Norway, 2013"--Title page verso. Through panoramas of mood, ideas, and emotions, Expressionism stands as one of the most reactionary and influential movements of the early twentieth century. This introduction assesses the group's stylistic tendencies, influences, and pursuit of authenticity. 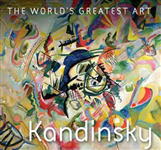 An examination of the work and lives of Expressionist artist Wassily Kandinsky and Gabriele Munter and Dadaists Hans Arp and Sophie Taeuber illuminates the roles of gender and the applied arts in abstraction's early days. It shows how everyday life influenced the development of abstraction.